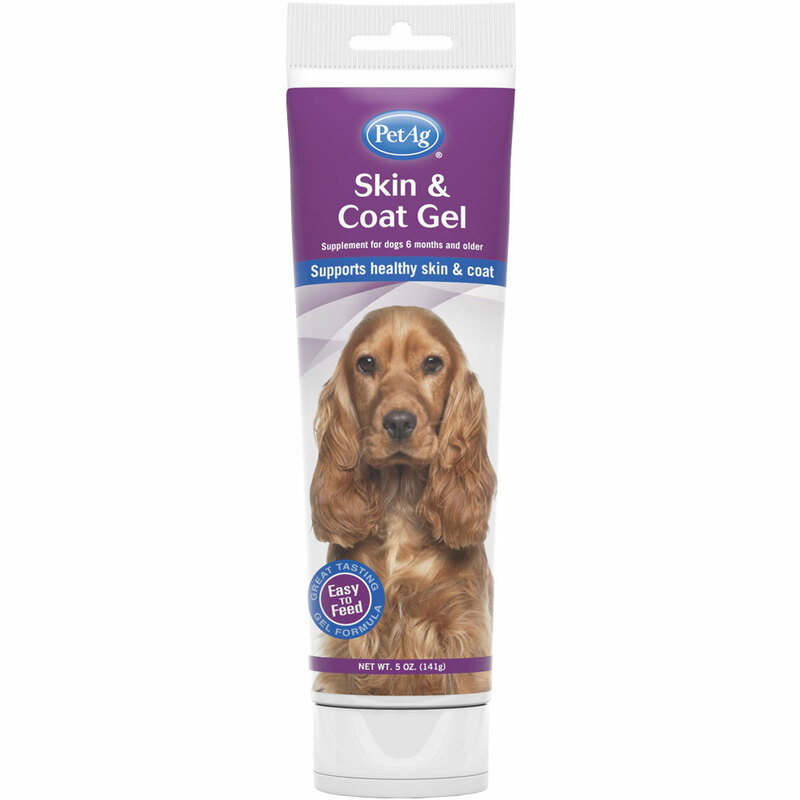 PetAg Skin & Coat Gel helps support a healthy skin and coat on dogs 6 months and older. This great tasting gel formula is easy to administer and helps maintain normal moisture in their skin. This helps to achieve a healthy, shiny coat. Skin and coat health is extremely important for dogs of all ages, but especially as they get older. A healthy coat looks good, feels comfortable, and helps ward off unwanted parasites and bacteria. Skin and coat supplements are one of the most effective ways to keep your dog's skin and coat looking and feeling its best. For dogs weighing less than up to 10 lbs, give 1⁄2 teaspoon (2.2g) daily. For dogs 11-50 lbs, give 1 teaspoon (4.4g) daily. For dogs over 50 lbs, give 2 teaspoons (8.8g) daily. Give recommended amount daily. Feed orally.